A number of social apps have turned to the Play Store to manage their betas. We've already seen Facebook and Snapchat launch official beta versions to anyone who signs up for the privilege, and now Twitter is doing the same. If you've signed up for either of the other programs, the routine should feel pretty familiar. The experimental build will replace the current Twitter app on your phone, unlike the Chrome beta that can exist side-by-side with the stable release. Those who opt in will be greeted by a notification when the next build is ready. As this is a beta release, some features may never appear in the stable version, and some instability may appear that could eat your cat or infect your bed with bed bugs. Use at your own discretion. Have fun, and if you want to send feedback, here's process for doing so. To give us your feedback or report bugs tap the Report a Bug feature under the ••• icon to bring up the off-screen menu. What should I do once I’ve joined the program? Use the experiment app normally as if you are using the production version - if you are experiencing bugs, please report them to us through the Report A Bug button within the settings of the app. Using the correct email address - It’s important that you join this Google Group with same the e-mail address associated with your Google Play Store account. 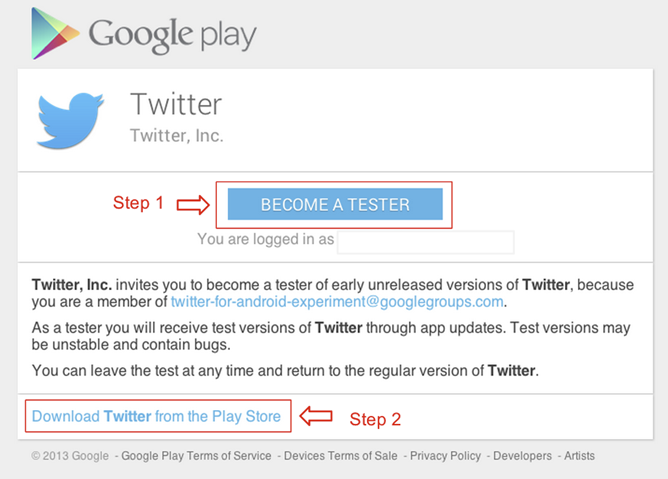 To find out which email address you use, open the Play Store app and tap onMenu > Accounts. Error 404 - If you see this error message, you either 1) haven’t joined this Google Group or 2) you joined the Google Group with a different email address than what’s currently used in your Google Play account. 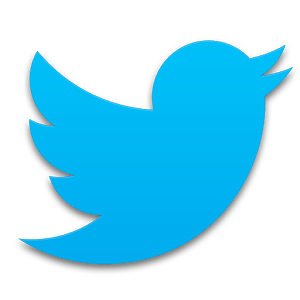 How to uninstall the app - To uninstall the Twitter for Android experiment app, go to your phone’s settings, then Applications > Manage applications > Twitter > Uninstall. Trouble downloading the app - If you’ve completed steps 1-3 listed above and you’re still experiencing download issues, learn how to troubleshoot this problem in the Google Play Help Center.